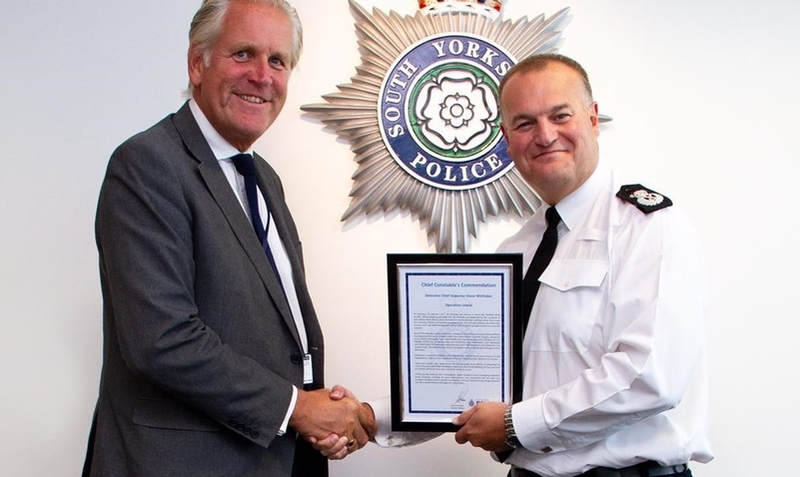 A senior investigating officer is taking his leave of policing after more than three decades of dedicated service with a “pride” he has achieved his long-term goal of “making a difference” and a resolve to see serious offenders pay for their crimes in time behind bars. That determination to see justice for Britain’s killers has meant Detective Chief Inspector Steve Whittaker delaying his own retirement to conclude one last case. Last month the South Yorkshire officer attended Sheffield Crown Court to witness 20-year-old Martin Johnson found guilty of murder and Section 18 wounding of a toddler and jailed for life with a minimum term of 19 years in prison. Having reached his 30-years’ service landmark in September 2017, he didn’t feel the time was right for him to go because of unfinished business for which he felt responsible. He admittted: “It’s been an incredibly difficult decision for me to retire from South Yorkshire, because I really don’t want to go in some ways. It is with a heavy heart that I am going. “I had one final case to see to its conclusion, an investigation into the death of a toddler in Sheffield in May 2018. By staying on in the service the DCI in “extra time” he can now reflect that in 2018 alone, the murder cases he worked on saw offenders jailed for a total of more than 140 years. So where did it all begin? 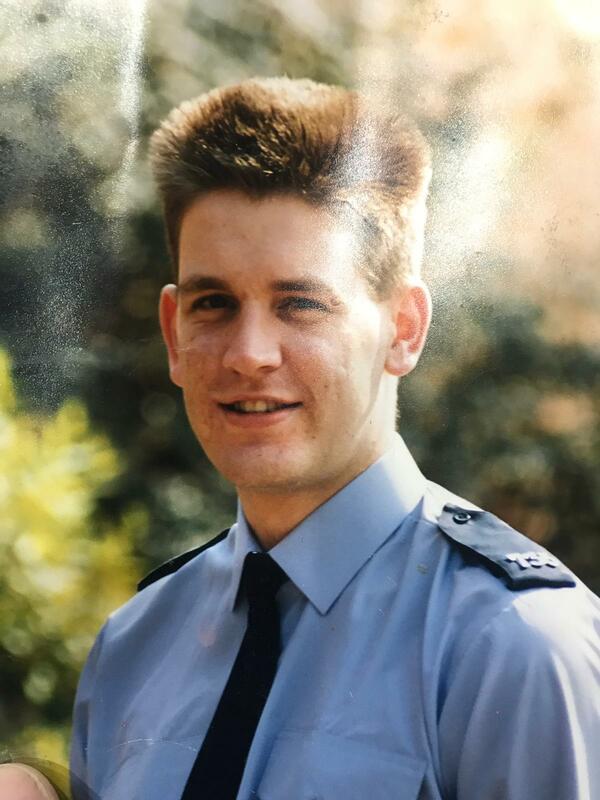 Rewind to September 1987 and a fresh-faced 20-year-old who had “always thought about being a policeman” was accepted into the ranks at Leicestershire Police. He began as a response officer at Loughborough station with a first-ever night duty “baptism of fire” attending the Kegworth air disaster. DCI Whittaker made his final force move in 1991 to South Yorkshire, first pounding the beat as PC in Rotherham. He switched to Sheffield CID at Attercliffe police station, working on the Manor team which, looking back, is “probably my best time in the police service”. Fast forward to December 2002 for his most celebrated case – the murder of Gerald Smith in the Spital Hill area of Sheffield that sent shockwaves through the community. Steve Whittaker recalls: “That case made legal history, because we ended up convicting nine men for his murder. “It was the first case of its kind, where so many people were found guilty and sent to prison for life for a man’s death. All the men were convicted of murder through joint enterprise. “That was one of the first cases I can recall in my career where analysis of mobile photo data (including where their phones were and when) was really important. “Nowadays, the technology and capabilities available to us are amazing, but back then it was totally innovative. Promotion tom DS followed and a move to the Major Incident Team covering South Yorkshire. He added: “While I was there I worked as OIC on several murder investigations, including one that particularly sticks in my mind – the murder of Nawajid Khan in Sheffield in January 2008. “This was an interesting case that ended up attracting national media attention, because his wife paid a local rap band to kill him. They were unsuccessful in the murder attempt, so she took it upon herself to run him over, killing him. In 2009, newly promoted to detective inspector, he moved to Doncaster to work in the Priority Crime Team – responsible for investigating serious acquisitive crime. The rank of DCI came in 2014 and he returned to Sheffield as the crime manager. While there, he was responsible for setting up Operation Zeus, which is the force’s response to dealing with the discharge and possession of illegal firearms. Two years later, when the Force Crime Unit was introduced in South Yorkshire – a centralised detective team responsible for investigating serious crimes across the force – he joined the team as a senior investigating officer. It is in the role of SIO and DCI that DCI Whittaker retires, after working on a significant number of murder inquiries in the last two years – particularly pertinent today as policing faces a serious upturn in violent crime. He added: “There are a few cases that show how everything comes full circle in the end and I’m really proud of what my officers working on these investigations have achieved. “In February 2017, 23-year-old Aseel Al-Essaie was fatally shot in the Upperthorpe area of Sheffield. A 14-month investigation followed, with suspects identified, arrested and charged. “The mobile phone analysis that was so useful in Mr Smith’s murder in 2002 was again of vital importance in this case. Three incredibly dangerous men were convicted of Mr Al-Essaie’s murder in April 2018 and each received a life sentence. “I’m really proud of that job and the officers that worked on it. Because of its complexity, we really did have to painstakingly pick through so much evidence to get answers for Mr Al-Essaie’s family. “This included downloading over 100 phones, recovering hundreds of hours of CCTV and obtaining 600 statements. “I also oversaw the investigation into the murder of Sami Al-Sarsoori, who was fatally stabbed in the Firth Park area of Sheffield in September 2017. DCI Whittaker departs from the service with some “incredible times and memories that will stay with me forever”. He said: “I have worked with some fantastic people, who do good old-fashioned police work day in day out to keep people safe. “I joined the police service to make a difference and put people in prison for serious crime. I can say I’m really proud of all I have achieved while working at South Yorkshire, including the fact that in 2018, the murder cases I worked on saw people jailed for over 140 years in total. “That is a long time, and there are now a number of dangerous people who are no longer on our streets to harm anyone else. “It has been a real privilege to be a police officer and an even bigger honour to be a senior investigating officer. As for the future, he has no concrete plans, although he does intend to spend some time with his son and “explore what opportunities are out there”.